This Earth Ship was built in 2009 by a professional builder. Pictures and information of the process available during a private tour. This property offers complete solace with a view of the Yellowstone River, lack of immediate neighbors, inviting colors throughout the home and the ability to survive free of utility companies. 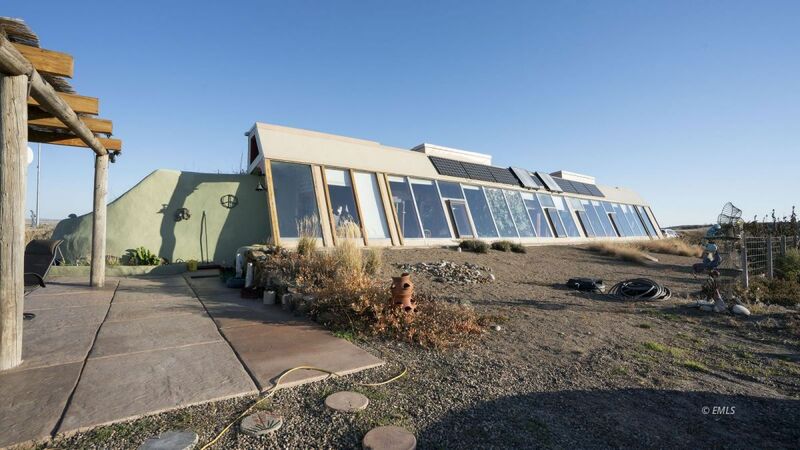 The home offers solar & wind power, backed up with a propane generator. Entering the property welcomes you with it's green house spanning the length of the home. It's kitchen and living space flow together in one room with a comforting gas stove. Two bedrooms and 1 bath complete the house. The acreage is spacious, with rolling hills and is fenced. There is a second home in progress just down the hill that could be finished by the new owner, or continue its use as a workshop or storage.